The discount grocer is opening the facility in Mitchelstown. It will supply over 100 stores in the region. 160 NEW JOBS are being created with the opening of a new distribution centre for discount grocery outlet Aldi in Mitchelstown, Co Cork. It will act as a hub for over 100 stores in the region – mostly serving shops in Cork, Kerry, Limerick, Tipperary, Waterford, Clare, Mayo, Galway, Kilkenny and Wexford. The company is currently undertaking a three year store expansion programme that will see 20 new supermarkets open across the country and the creation of 300 jobs. Aldi has a strong commitment to Ireland, the Irish producers, farmers and manufacturers that supply our own-brand grocery range and our valued customers who shop at our stores every week.These are skilled positions across management, administration, warehousing and logistics. The jobs are real, sustainable and will help support families in Ireland. According to the company, employee numbers at the distribution centre are set to increase further in the next few years as part of the expansion programme. Read: What’s going on with Superquinn sausages ?! Email “Aldi announces 160 new jobs at Cork distribution centre”. 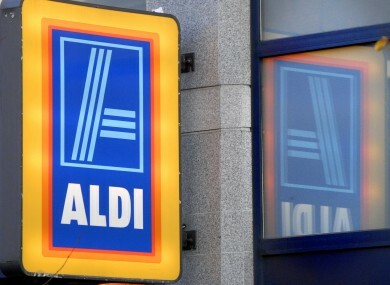 Feedback on “Aldi announces 160 new jobs at Cork distribution centre”.